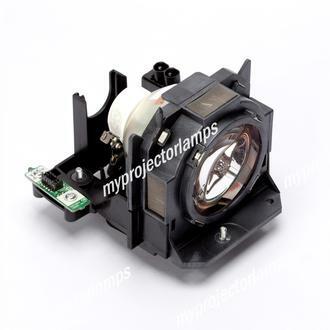 Designed and made exclusively for Panasonic projectors, the ET-LAD60 is the only reliable and original replacement lamp for a large selection of popular industry leading projectors. The bulb is partially exposed with the front end fully encased in its black plastic housing. Fixed to the side of the module is a timer chip that provides the convenient function of automatically resetting the timer, without the need to manually push a button. A single screw at the front and another at the back holds the module into place within the projector. This exact replacement lamp is also available under the name Panasonic ET-LAD60A. 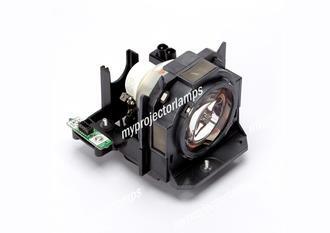 There is a long list of Panasonic projector models that work with this replacement lamp and module, displayed to the side of the page. A few of the most popular models include the Panasonic PT-D5000, the PT-D6000ELS, PT-DW740S and the PT-DW740UK. 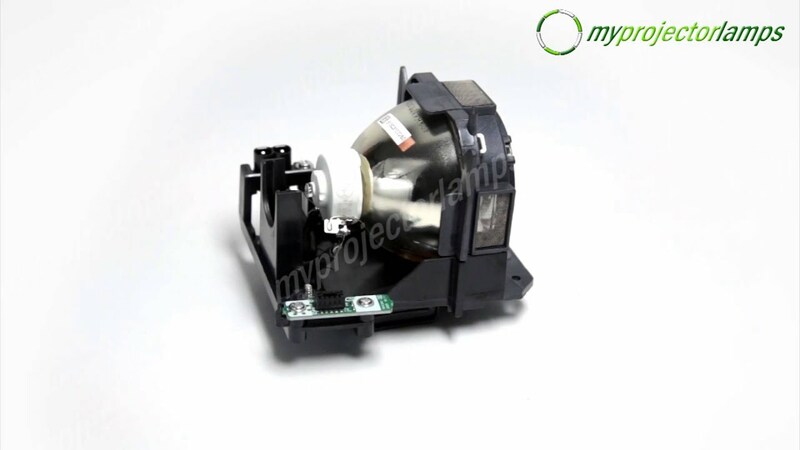 This replacement is a single replacement lamp unit, however these associated Panasonic projectors require 2 lamp units to run optimally. The ET-LAD60 is powered by a 300W bulb. Q how do i do the lamp timer reset? there is nothing noted in the booklet and I do not have a remote. Asked by marlie On May 30, 2018, 9:29 a.m.
A Hello Marlene, thank you for your question. This lamp actually has a time chip on the housing abd when a new lamp is installed it automatically resets the hours. You do not have to do it manually. Once a new lamp is installed the hours should reset back to 0. Answered by MyProjectorLamps On June 6, 2018, 4:42 p.m.
Q HELLO, WHAT IS THE LIFE SPAM OF THIS LAMP(HOW MANY HOURS) Asked by YVONNE On June 1, 2018, 2:35 p.m. 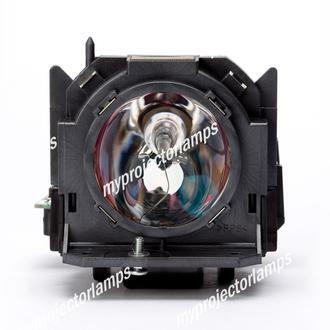 Answered by MyProjectorLamps On June 6, 2018, 4:47 p.m.
Q I'm trying to find 2 replacement bulbs for a panasonic projector Model # PT-RZ470UK. Is this compatible? Asked by MeLynda On June 6, 2018, 6:19 p.m.
A Hello, thank you for your question. 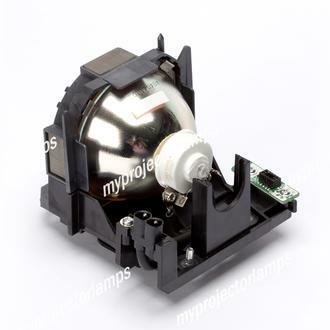 Yes this is the correct lamp for a Panasonic PT-RZ470UK, however, this is the single lamp option that we offer on the site. You would need to make sure to order QTY 2. We do offer a twin pack with can be searched using part# ET-LAD60W. Answered by MyProjectorLamps On June 12, 2018, 2:48 p.m.
Q Do you accept PO numbers for invoice? Asked by Mark On Nov. 14, 2018, 7:04 a.m. Answered by MyProjectorLamps On Nov. 26, 2018, 3:30 p.m.